Want to throw a birthday party for your child but don’t know where you’ll find the time or resources to plan it? 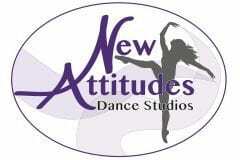 New Attitudes Dance Studios offers birthday parties for children of all ages. We provide tables, chairs, and props, music and lights for dancing! No guest limits and no clean-up! For more information or to book your birthday party, call (906) 226-8580 or fill out the form below so we can start planning! You can also download a printable party flyer to share. Please let us know how we can make this the best party ever! All party dates are subject to studio availability. A deposit is due at the time of reservation to secure your spot, and the full balance is due on the party date. You may bring in any food, cake or decorations that you would like.